A two speed DevOps world? What’s holding back the adoption of DevOps and how can the challenges be overcome? On the face of it DevOps looks like it’s moving into the mainstream. Demonstrating this, 85 per cent of organisations that participated in Redgate’s 2019 State of Database DevOps Report have either adopted the process or plan to within the next two years. 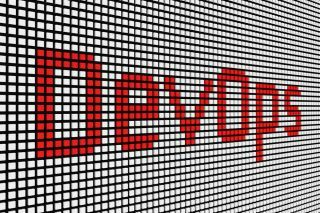 Interestingly, 58 per cent of respondents have already adopted a DevOps approach for some or all of their projects, which is an increase of over 20 per cent since the first survey in 2016. Yet simple maths shows that 15 per cent of organisations across the globe are turning their back on DevOps – a percentage that has barely shifted over the last three years. Further analysis shows they tend to be in particular sectors and sizes of company. Just 40 per cent of those in healthcare, government, education and non-profit organisations have implemented or plan to implement DevOps, for example, against 70 per cent plus in media/entertainment and tech/telecoms. There’s also a lower rate in smaller organisations – 51 per cent of companies with under 25 staff had DevOps plans, compared to 70 per cent in those with 10,000 staff plus. What’s going on? DevOps has been shown to increase efficiency, save time and ensure that software is delivered faster. That’s key to every organisation, whether in the public or private sector, large or small. Yet there’s a danger here that in terms of both application and database development, we’re entering an era where some companies and organisations are now in the fast lane, free to release features faster and with fewer errors, while others are stuck in the slow lane, being left further and further behind. So, what’s holding back the adoption of DevOps and how can the challenges be overcome? When asked why they weren’t implementing DevOps, 40 per cent of respondents to Redgate’s survey cited lack of awareness of the business benefits as the number one reason, followed by lack of executive leadership support (15 per cent). Adopting DevOps is a major business change, and consequently has to be led from the top if it is going to succeed. Clearly, some IT managers, developers and database administrators don’t feel they have the ear of senior management, or the ability to persuade them to embark on the road to DevOps. For CEOs, the benefits include faster time to market, higher quality products, a stable, reliable IT infrastructure, higher customer satisfaction, lower costs, improved business efficiency and higher revenues. For CIOs, the advantages to be gained include improved operational support and faster fixes, good processes across IT and teams, greater automation, increased team flexibility and agility, happier, more engaged teams, more collaborative working, and increased respect and rewards from senior management, along with greater freedom to experiment. For IT Managers, the wins are the faster speed and lower cost of releases, a lower volume of defects, improved frequency of new releases and features, better application performance, shorter mean time to recovery (MTTR), lower change failure rates, and better use of resources. All of these business benefits apply across all sectors. For example, delivering faster software to meet changing customer needs is as vital for government bodies as it is for ecommerce or financial services companies. Quite simply, citizens and customers now want – and often expect – the same appealing experience, whatever kind of organisation they’re dealing with. Overcoming this first challenge to DevOps adoption requires IT professionals to research the benefits, couch them in terms that appeal to the different stakeholders within their organisation and highlight the ROI that DevOps brings. Smaller organisations may have smaller budgets, but over the medium to long term DevOps actually saves money. Software is developed faster, without the need for extensive rework, freeing up developer resources that can be applied to other areas. In smaller organisations every pound counts – meaning that the savings and impact are proportionally greater when adopting DevOps. It can transform the whole approach to software delivery, driving savings in terms of development, error-free releases and faster recovery from issues. More regular deployments of new features also boost competitiveness, potentially increasing sales and revenues. Consequently, those with the smallest budgets stand to benefit the most. Additionally, the DevOps implementation process should be easier in an organisation with fewer people and less departments compared to a 10,000+ person company with multiple global offices and teams. In this smaller size of business, collaboration could already be well developed, actually making adopting DevOps less complex in the first instance. It may well be that the major reason for failing to embrace DevOps is cultural. As with any major business transformation, it will only work if the organisational culture is open, focused on innovation and looking to continually improve. This ‘generative’ culture goes beyond DevOps and is proven to deliver wider benefits, attracting talent, winning customers and creating a virtuous cycle of innovation. Even in organisations that may not yet have a generative culture across their operations, it can be created within the IT team. To achieve this, leaders need to build trust with their people, empower them with autonomy and rely on strong communication to ensure that everyone understands their role and overall objectives. Breaking down silos and championing collaboration is crucial – as demonstrated by the Redgate State of Database DevOps research. In this, over three-quarters (76 per cent) of companies that had implemented DevOps reported that integration between developers and database administrators (DBAs) was good or great, compared to a global average of 62 per cent. Clearly, cultural change can be hard, particularly in organisations that operate in traditional or not-for-profit sectors. However, failing to change will hurt the entire business, meaning that DevOps should act as a start point for wider cultural transformation, creating a more agile, customer-focused and responsive organisation. Whatever sector you operate in, every business needs to change to meet greater competition and rising expectations from customers and citizens alike. This necessary digital transformation is powered by software, meaning that the speed at which you can deploy new releases, the agility you have to create new functionality and the quality experience you deliver to customers is vital. DevOps is proven to deliver a positive ROI across every type and size of organisation, making it mission-critical to your organisation’s future. Therefore, it’s time for IT leaders to clearly communicate the benefits to senior management, quantify the budget benefits and change their cultures – before it’s too late.